The latest project from Cologne-based designer Jens vom Brauck is the minimalistic Scrambler, based on the Ducati Monster 1000ie. Carbon-fibre and kevlar parts keep the weight down to just 170 kg with all fluids. 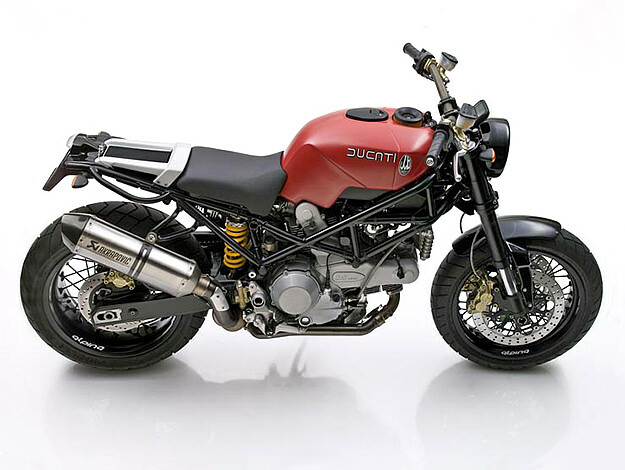 JvB can convert a stock Ducati bike to a Scrambler for around 8000 Euro.